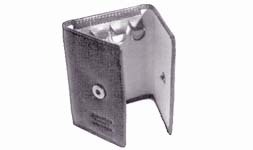 The humble keycase, whether it be for home, car or office keys, is a constant companion. As an image builder, it represents what is simple and trustworthy. 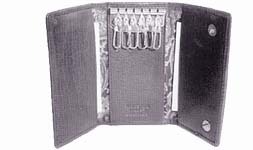 A leather key case with a 6 key hooks on the inside. 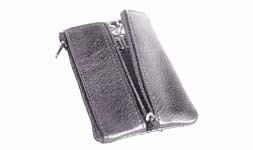 There are two side pockets of size 11.5 x 4.5 cm. It is lined with a patterned fabric. 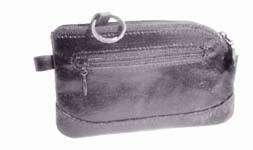 This leather key pouch has a zip pocket at the front and another at the centre. 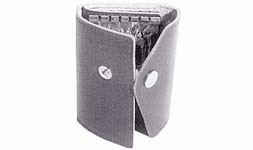 Inside is a leather loop to which is attached a ring to keep your keys. 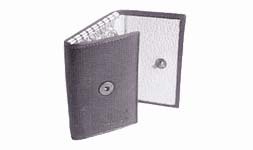 A simple leather keycase with four loops from which you can insert the metal key ring.